The Plumley Collection is owned by Nick and Sarah Plumley and is mainly kept in their attractive and characterful late Georgian house in Arundel, West Sussex. Nick and Sarah have gradually built up a small collection of period keyboard instruments which is now in good playing order after restoration by Andrew Lancaster www.squarepiano.net. 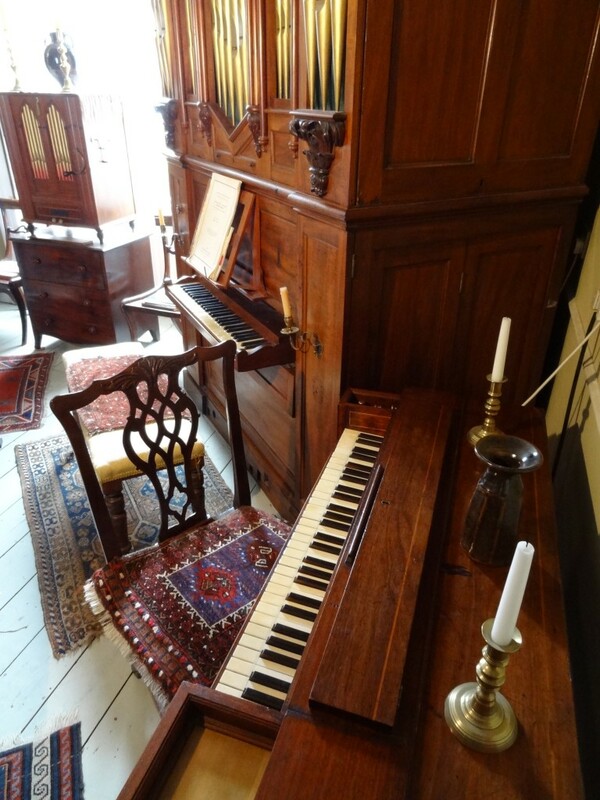 There are also many prints and paintings depicting early keyboard instruments on show in the house. They hold professional concerts and master-classes and welcome visits by arrangement from groups or individuals of any age to see and play the instruments. Nick is an artist and an historian and is the curator of the Collection. Sarah has a teaching practice at their house using a modern Yamaha piano, with opportunities to use the period instruments for those who who wish to.